In a flourish of righteous zeal, the March of Dimes went on record strongly opposing early elective delivery before 39 weeks gestation. They railed against the increase in NICU admissions; they railed against the increase in C-sections; and they railed against the increase in costs. What they inexplicably failed to take into account was the inevitable increase in stillbirths. When the Christiana Care Health System in Delaware implemented the March of Dimes recommendations, NICU admissions decreased, C-section rates decreased and cost decreased. And more babies died. Neonatal Outcomes After Implementation of Guidelines Limiting Elective Delivery Before 39 Weeks of Gestation by Ehrenthal et al published in the forthcoming issue of the journal Obstetrics and Gynecology looked at neonatal outcomes before and after limiting elective delivery prior to 39 weeks of gestation. … The overall rate of stillbirth of nonanomalous fetuses differed between the periods with an overall increased risk of stillbirth after the intervention (relative risk 2.14, 95% CI 0.87–5.26, P=.06); this overall increase was not statistically significant. However, stratification by gestational age group of the stillbirth revealed the increased risk in the after group was limited to stillbirths before 39 weeks, which increased from 2.5 to 9.1 per 10,000 term pregnancies (relative risk 3.67, 95% CI 1.02–13.15, P=.032), whereas there was no change in risk of stillbirth at 39 weeks or more (relative risk 0.91, 95% CI 0.23–3.64, P=.896). Because this increase in stillbirths is so large, the authors reviewed each stillbirth to be sure that they were not the result of risk factors that would have triggered a medically indicated induction. The authors carefully reviewed the medical records of each stillbirth to identify cause of death and the presence of a maternal risk factor … No definitive cause-of-death pattern emerged. The reduction in early elective delivery achieved the aims for which the March of Dimes advocated. The reduction in early elective delivery reduced NICU admissions, reduced both the induction rate and the C-section rate, and (although the authors did not measure this) presumably reduced costs. However, these benefits were achieved at a very steep price. The stillbirth rate increased from 2.5 to 9.1 per 10,000 term pregnancies. Instead of 3 stillbirths between 37-39 weeks among 12,000 patients, there were 11 stillbirths between 37-39 weeks among a similar number of patients after reduction in early elective deliveries. This finding is not unexpected. CDC data shows that the stillbirth rate rises from approximately 3 per 10,000 at 37 weeks to 4.5 per 10,000 at 39 weeks. An increase of 6 stillbirths in a population of 12,000 women is almost exactly what you would expect from reducing deliveries between 37-39 weeks. This brings us to the heart of the matter. We have traditionally approached the inherent dangers of childbirth by attempting to reduce perinatal mortality. Our efforts have been so successful, that we have turned our attention to reducing perinatal morbidity under the assumption that any reduction in morbidity would be added on to the existing reductions in mortality. That assumption in clearly not justified. That’s because low rates of perinatal mortality have been achieved, in part, by exchanging mortality for morbidity. There are fewer deaths when you deliver babies before 37-39 weeks (whether for indicated or elective reasons); those babies who otherwise would not have lived experience relatively mild, self limited problems related to borderline prematurity. Attempts to reduce these morbidities by preventing borderline premature delivery may simply result in the deaths of these babies, not an overall improvement in outcomes. That’s certainly what the existing data on stillbirths and gestational age would predict and that’s precisely what happened in this study. Very interesting. But the policy proposal can’t be that all babies are delivered before 39 weeks, can it? 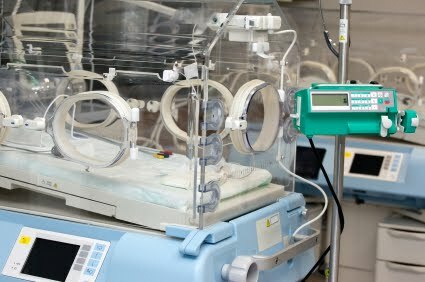 Also, what do we know about the seriousness of the NICU stays & sequelae? I also attended the Stillbirth Summit – aside from the clinical discussions in this regard – one very important piece of the equation is that the 39-41 week rule is unethical. Medical ethics principles call for autonomy, beneficence and justice. Autonomy and beneficence are completely violated with this rule. It absolutely takes the decision making away from doctors and their patients. a strong research case that the rate of stillbirth will be reduced by inducing labor before 39 weeks of pregnancy. Other physicians and researches from US, England, Australia, and New Zealand agreed strongly.